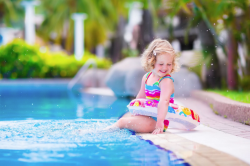 Pool Service Fort Lauderdale: Keeping Children Safe - Fort Lauderdale Pool Service – Fall in Love with your pool again! Having a backyard pool can be one of the true pleasures in life. It can make your home a social focal point and give your family a cool, refreshing place to relax and unwind at the end of the day. But having a backyard pool also comes with a lot of responsibility. You want your family, friends, and neighbors to enjoy your pool, but you also need to ensure their safety — especially children. Kids are naturally attracted to pools. And why wouldn’t they be? Pools are fun, entertaining, and refreshing when it’s hot outside. Yet children need to be supervised by responsible adults whenever they are playing in or near a pool. What’s the cut-off age for allowing children to play in your backyard pool without an adult around? That depends on a number of factors. Any child who is to be allowed to play in your pool needs to learn how to swim. Enrolling your child in swim lessons at your local YMCA or other location not only can give them a lifelong skill, but it also can save their lives. Kids also should be able to save somebody else from drowning or other trouble before they can play in the pool on their own. This requires a certain amount of responsibility and knowledge. For example, they will need to know how to resuscitate somebody who has swallowed water, how to perform CPR, and how to call 911. Very young children should wear certified flotation devices near the water even if there are adults nearby. 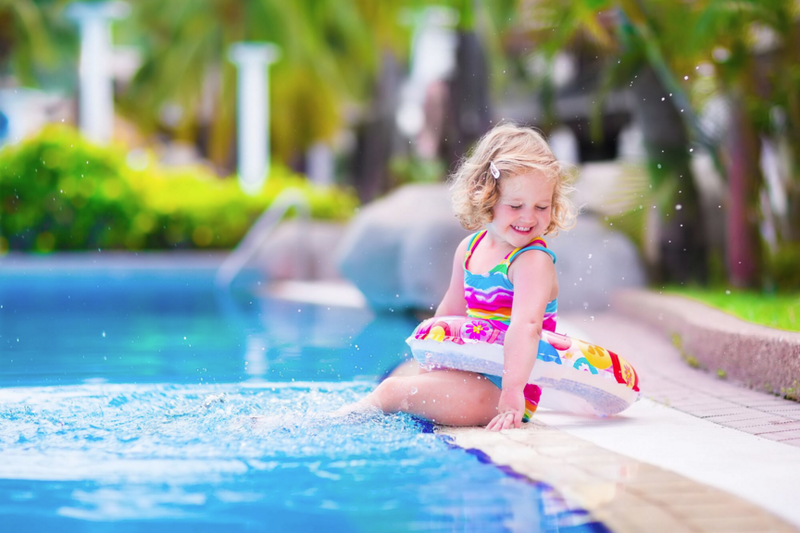 And all children, regardless of their age, should be taught basic pool safety rules, such as never running, using glass, or eating in or around the pool. You can enjoy your backyard swimming pool and ensure the safety of your guests by following these simple pool safety guidelines.